Petrol vs diesel cars – which vehicle should you buy? Some things can never fully be resolved. Is the dress white and gold, or blue and black? Do you hear Laurel or Yanny? Is it smarter to buy a petrol or diesel car? 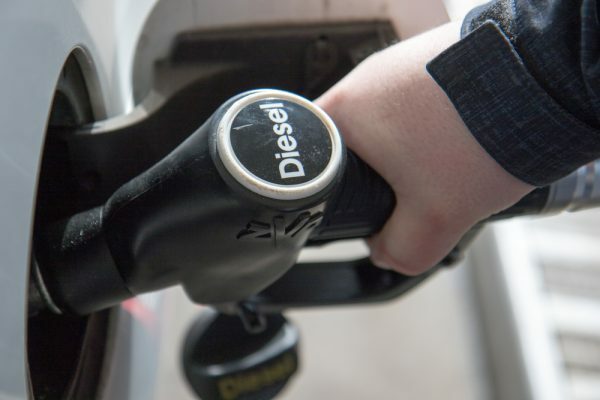 It’s hard to say, especially since many of the drawbacks of diesel have vanished over the years – it’s no longer a pollution spawning monster from an old Captain Planet cartoon, and it’s still cheaper than petrol. What are the advantages of diesel? On average, diesel is around 70 to 80 cents cheaper than petrol on a per litre basis. How much does this save you? Well, it depends on your driving habits. Most mechanics estimate that a regular Singaporean drives up to 20,000 kilometres. Assuming that your car takes you 15 kilometres per litre, that’s about 1,333 litres per year. At a savings of 80 cents per litre, that’s a savings of roughly $1,066 per year. Assuming that you have the same fuel efficiency between a petrol and diesel car, the example we’ve highlighted above is a good gauge of how much you can potentially save with a diesel car. We spoke to a few car workshops on this issue, and realised this is a bit subjective. Every workshop agreed, without a doubt, that diesel gives you better mileage than petrol with all things being equal. However, it gets messy when you factor in car models, the conditions under which a car is driven, and the driver’s habits. Needless to say, slamming the accelerator, along with other fuel-guzzling habits, will reduce your overall fuel efficiency. Also, a higher cc car with a diesel engine can still end up with poorer mileage than a smaller, petrol-powered car. Nonetheless, with the lower cost of diesel fuel, a diesel car can cost you less in the long run. As mentioned, this is still subjective as it’s highly dependent on the car’s overall fuel efficiency and driver habit. Since 2018, the Government has introduced the new Vehicular Emissions Scheme (VES), which measures the vehicle’s emissions of pollutants. The VES helps to determine if vehicles with low pollutant levels cars enjoy rebates to offset the high cost of cars. With up to 5 pollutants measured and the banding based on the worst performing pollutant, it might seem a bit challenging to qualify for the VES rebate. But if your diesel car does fall under the best A1 band, you’re looking at a rebate of $20,000, which goes a long way towards reducing the cost of the car. Most car workshops agreed that diesel engines are less susceptible to long-term wear-and-tear. Unlike their petrol counterparts, diesel engines are more simple and solidly built. However, mechanics also cautioned us against making blanket assumptions. It ultimately comes down to the car manufacturer, and how well built the engine is. What are the drawbacks of diesel? There’s a special tax on diesel vehicles because…well, the government can do it. This special tax adds to your vehicle’s six-month road tax. If you have a Euro V compliant diesel vehicle – which is almost all of the newer models – the tax is 20 cents per engine cc, to a minimum of $200. So for a typical 1,600 cc family sedan, you’re looking at an additional $320 on your six-month road tax. Older diesel vehicles, which are Euro IV or pre-Euro IV compliant, have even higher taxes. Euro IV compliant vehicles are taxed at 0.625 cents per cc, and pre-Euro IV vehicles are taxed at 6 times the rate of petrol vehicles. Think twice before buying these older vehicles, as any savings on fuel will be more than eaten up by the road tax. Diesel engines tend to be more expensive to build, so the overall cost of the car may be higher. Some mechanics also told us that, while diesel engines are more solid (and can go for longer periods without servicing), the cost of fixing them when something does go wrong is higher. This is because diesel engines use more specialised parts and components, which can add to the cost. However, this factor varies based on the make and model of the car. There’s a distinct rattling noise that comes from a diesel engine. You may also notice a louder “growl” when the engine is getting started, or upon acceleration. This is the inevitable result of driving a car that’s powered by chain explosions – it’s a perpetual Michael Bay movie inside your diesel engine. Nonetheless, car manufactures are finding ways to fix this issue as technology advances. Without getting into long technical discussions of torque and RPM and horsepower and where the warp drives should be located, let’s keep it simple: petrol cars are faster than diesel cars. This is a virtual non-factor on Singapore roads, where we’ve apparently managed to put one red light every 2 metres. But if for some reason you’re entering the next NASCAR race, we guess this would kind of be a huge drawback. So should you switch to diesel? It depends on your driving distance. Try to work out the distance you drive. If all your driving is just between your house and the market, or you only drive half the distance of the typical Singaporean (say 10,000 kilometres a year), then diesel isn’t really saving you money. Remember, you’re paying a special tax, so you need to make sure the fuel savings at least make up for that. On the other hand, if you drive long distances (e.g. you commute to Malaysia every few days, and rack up 30,000 or more kilometres), then you can definitely save more money using diesel. We’re told, however, that diesel stations are harder to come by across the Causeway. If your driving distance is more less or similar to the average Singaporean, you may not ultimately find much difference between the two. In such a scenario, stick to the car that’s most comfortable to drive; whether it’s fuel or diesel. How can you manage the risks in forex trading?